Create a new folder/group via the New group icon in the header toolbar (No.2 above). 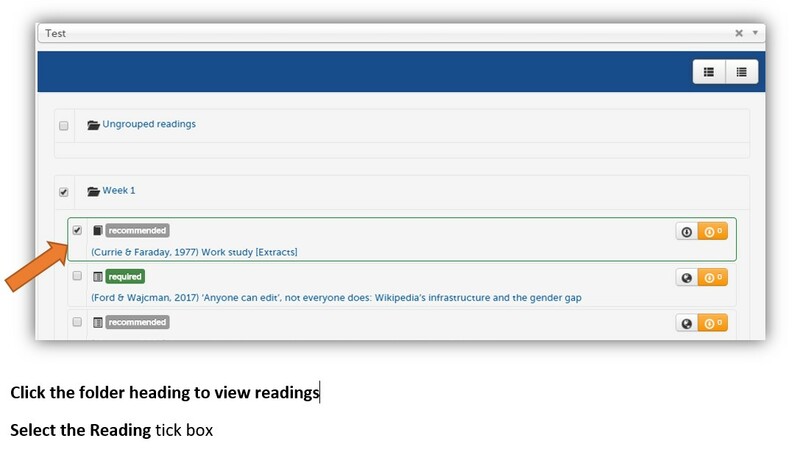 Drag and drop - tick the box/es of the reading/s to move, then click on the cross of the very right hand side – and drag the reading/s (which will have become highlighted in green) to the folder/group. You can delete a folder by selecting the rubbish bin icon. It will not delete your readings, only the folder, and you readings will move back into the ungrouped folder. 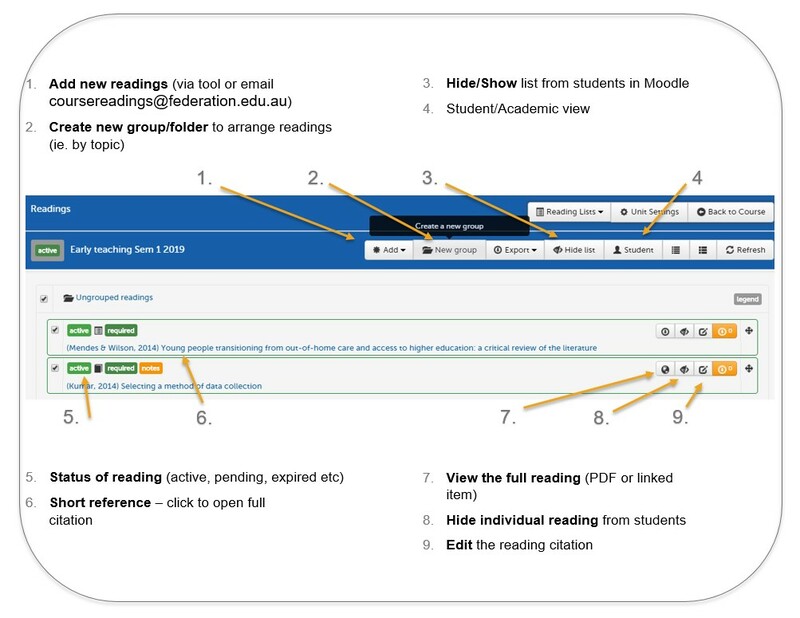 Wherever you see the Editing bar you can place a reading link - in Moodle ie Books, Lessons, Topics. 2. Select 'edit' option in the Topic, or Book etc to open the toolbar (the Course Readings tool will be visible as below). 3. 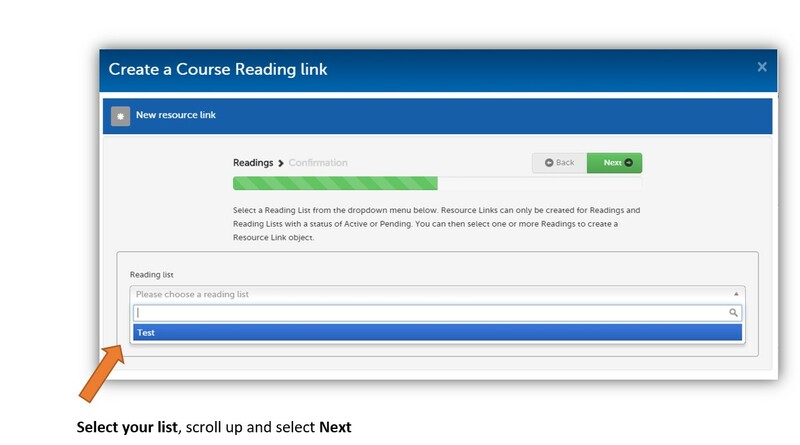 Select the Course Readings icon to open your list. 4. Select the list your require (most courses will have only one list attached). To delete a reading link, place your cursor after the block of text and either backspace or delete. This does not delete your reading, only this link.